Scratched leather shoes will affect the appearance. You will not be able to wear them for official events. If you had purchased brand new leather shoes and they attracted scratches due to unavoidable circumstances, you will want to take the help of the seller. Some shoes will deliver best results with a single method and others should go through more than one method to regain its original state. The superficial damage should be arrested by applying best method so that you will wear the shoe with great confidence. You should choose a remedy to lighten the scratches. The solution that you will apply for the leather shoes should not spoil the leather and the life of the shoe should be prolonged. If you choose a high quality material and apply it as per the directions suggested by the manufacturer, there will be dramatic change in the appearance of the shoe. You can also try simple home remedies. The items that are available at home can be used so that you can produce lasting changes without any difficulty. If there are scratches which cannot be repaired at home, you will want to consult an expert so that your needs will be fulfilled very efficiently. How to Deal With Scratches? To deal with scratches in a very efficient way, you should evaluate scratches. You can use a high quality polish such as ‘Saphir Cream Polish’ to iron out scratches. The superficial damage will be concealed and you will be able to make the most of your time, effort and money. You can deal with minor scuffing and scratching by applying the cream. By applying a few extra coats of polish, your needs will be fulfilled in a very efficient manner. However, you will not be able to deal with deep gouges or scratches by using shoe polish. The scratch should be evaluated so that you will be able to implement right kind of steps. The special kind of cream can deal with deep scratches in a very efficient way. The resin-based cream will repair deep scuff marks and it can deal with discoloration as well. The cream can be applied on dress shoes, leather goods, clothes and furniture as well so that you can make the most of your investment. There will not be any damage by using the cream on high-end shoes and leather bags. The cream is available in various colors. You can mix two or more colors to create a palette of your choice. 1. If there are small scratches, the cream can be applied directly. If the scratches are large, the cream should be mixed with polish so that there will be better results. 2. If there is any loose leather, it should be trimmed. The scratch can be made light by using a fine-grade sand paper. The surface should be made smooth before the application of the cream. 3. The renovating cream can be applied on the leather directly by using your finger. You should massage the leather after the application and it should be allowed to dry. If it is properly dried, it will not stick to clothes. 4. To conceal the repair, you should want to use the cream polish. One or two coats of fine quality polish should be applied so that the shoe will appear bright and the scratches cannot be traced. If there are scuff marks, you can remove them by applying the toothpaste. An old toothbrush can be used to accomplish the task. The scuff mark should be rubbed with a rubber eraser. The clean magic eraser can be used in this direction so that there will be great results. You can buff the scuff mark with a q-tip dipped in the nail polish remover. You should test on a non-discreet part before applying on the remaining part of the shoe. Scuff marks can be removed with paper towel or rag. A small amount of Vaseline can be applied to remove those marks. Essential oils such as eucalyptus oil and lavender oil can be used to remove scuff marks. Thus, you can implement the simple steps described above to remove scratches and scuffs present on leather shoes. The instructions given by the manufacturer should be followed so that you can prevent damage and the life of shoes can be extended. You can repair shoes with the locally available products. You can also order new products online so that they will be delivered at your doorsteps. You should take care of shoes by applying the protective coating as per the make and model of shoes. Products suggested by brands will help you in this direction. There will not be any negative reaction with the leather and the repair will take place in the desired direction. You can purchase all-purpose cleaning liquid so that those products can be used on leather jackets as well as shoes. If you would like to present yourself in the best possible way during important presentations, you should be aware of the condition of shoes. 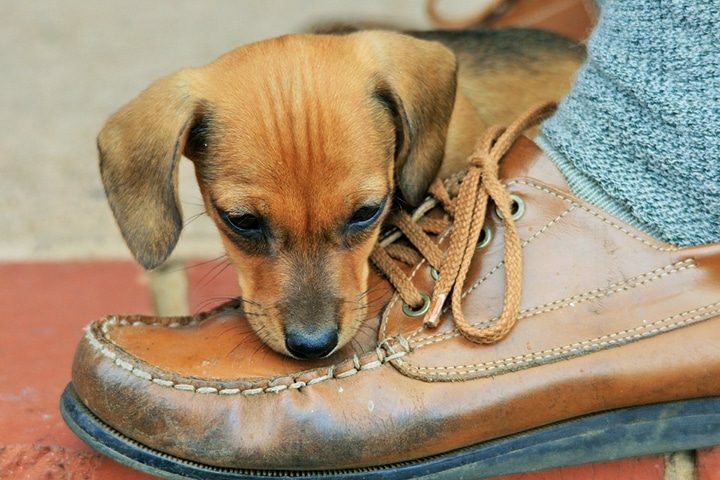 If brand new shoes suffer from scratches and scuffs, they can be eliminated quickly without the help of the shoe mender. 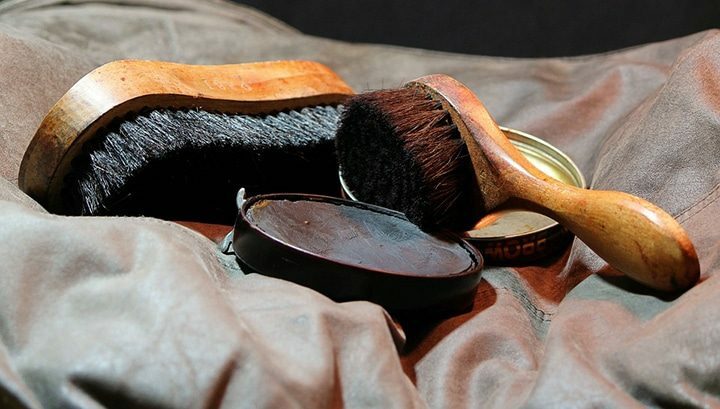 By using the right tools and techniques, the leather condition will be preserved and you can repair shoes in a very efficient manner. You are advised to go through the videos and blog posts that are dedicated to the shoe repair and preservation techniques so that you can understand the process very easily. Minor scratches can be repaired very easily and there will be great convenience. If there are major scratches and cut marks, they should be addressed by professionals. Sometimes, specialized tools and equipment is required to repair shoes. You should be aware of the shoe repair process so that you can maintain shoes in good condition at all times.